Manchester United had to reveal the structure of their payment plan to bring Wayne Rooney to Old Trafford. 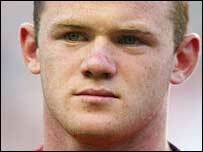 The club has told the Stock Exchange that Everton will receive a guaranteed £23m provided Wayne Rooney remains a United player until 30 June 2007. Everton could earn an extra £7m over and above the basic £20m transfer fee. The Toffees will receive cash depending on United's success and Rooney's international appearances over the next five years. £500,000 if Rooney plays a further 20 times for England in competitive games while a United player. Even if none of those things happen in the next five years the Toffees will receive at least an extra £3m, paid in £1m instalments on 1 August 2006 and the same date in 2007 and 2008. Everton have also negotiated a 25% 'sell-on' agreement, under which they would receive a quarter of any excess sum over all amounts paid in this agreement.